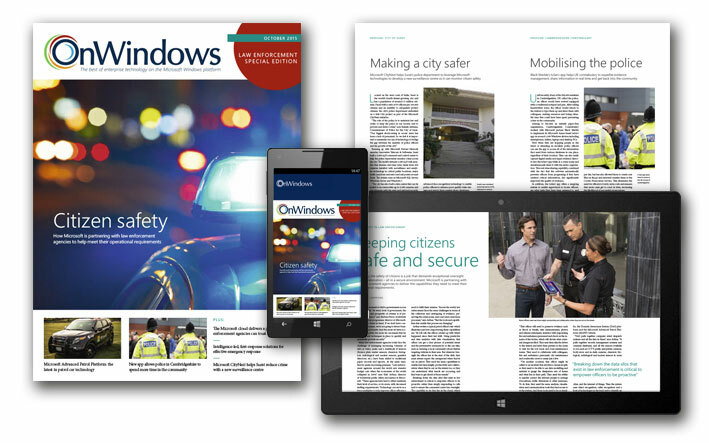 Download or view your free copy of the Law Enforcement Special Edition of OnWindows, produced in association with Microsoft. This special publication contains a wealth of information on the activities and capabilities of Microsoft and its partners in the law enforcement sector, highlighting how they support police departments around the world with innovative technology and solutions that help them to reduce crime, build trust in the community, and be more efficient. For more information on Microsoft in Law Enforcement, visit http://microsoft.com/lawenforcement or search ‘Law Enforcement’ on OnWindows.com.